This jet covers a sizable area,reaching the key muscles and nerves of the back for a pampering hydromassage. 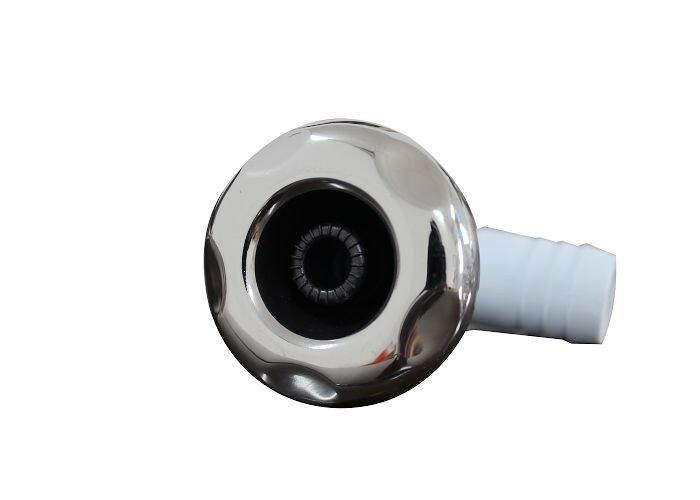 Hot tub nozzle with jet massge combines the power of a strong,sustained water and gas combined forces can effectively alleviate muscle fatigue. The 2" stainless steel 5 - scallop hot tub jet is easy to install by drop in the cover parts into the body parts. Easy for installation and easy to replace, which match our humanity design concept. Our factory have different plants for mold manufacturing, injection molding and assembly. Besides, our advanced machines can insure high quality of products. From successful cooperation with European clients for years, we have earned a good reputation. We provide one-stop OEM and ODM serivice: Products from conception, design,rendering, to the finished product.